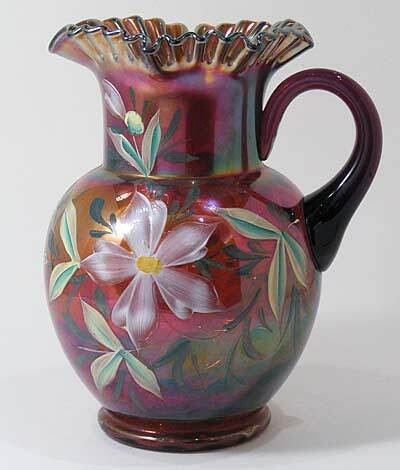 This enameled pitcher in amethyst sold at auction in 2005 for $300. It is on Fenton's Inverted Coin Dot pitcher. Another, on a marigold interior drape pitcher, sold for $100 in 2007. In 2014, a set of 5 amethyst tumblers listed as Phlox sold for $150.